Over the weekend The New York Post went after Gigi Hadid’s family in an exposé titled “The (new) first family of fame whores.” Really? The piece notes the undeniable success of Gigi in 2015, but adds she’s different from former fashion It girls like Twiggy, Cindy Crawford, Kate Moss, and Karlie Kloss because she had a privileged upbringing. (Her father Mohamed Hadid is a successful developer and her mother, former model Yolanda Foster, appears on The Real Housewives of Beverly Hills.) As the Post put it: “Gigi is striding into the spotlight . . . from the spotlight.” To which we respond: So what? Gigi and her sister Bella Hadid have proven themselves to be hardworking, professional, and lovely young women. 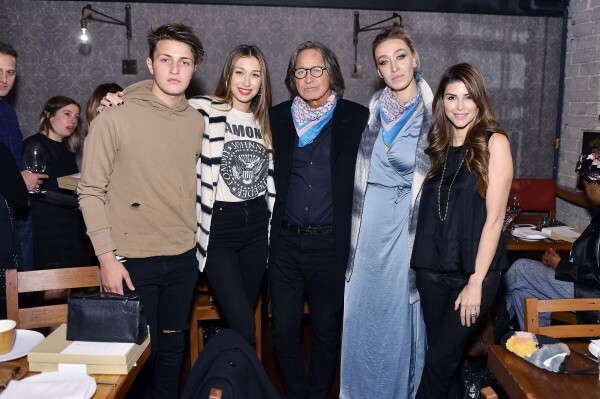 Last week a lesser-known Hadid came our way: the girls’ half-sister Alana, who told us about her chic bandana collection and appears to have the family work ethic. Margaux and Mariel- Hemingway, anyone? Should they not have pursued their modeling and acting careers because their family lineage opened doors for them? Margaux was more stunning in the 70s than many models are today. Children of the rich and famous particularly those in the entertainment and music typically follow in the same path as their parents since they are already familiar with that world. You can SO tell that these comments were left by people they know or who know them. PLEASE! It’s PLASTIC SURGERY that made them models. NOT because they are “naturals!” So laughable. The NYC Post said it all!